Home » Accessible Applications , Advertising and Marketing , Android , Apple , Apps , Arch Linux , Audio , Backup , Blogger , BSD (Berkeley Software Distribution) , Burning , Cd-Dvd Burning , CentOS , Chat , Compiz Fusion » Top 10 blog posts for September 2013 from Linuxlandit & The Conqueror Penguin. Top 10 blog posts for September 2013 from Linuxlandit & The Conqueror Penguin. 1.- Molecule Man is an isometric 3D arcade adventure game released by Mastertronic in 1986. Molecule Man is an isometric 3D arcade adventure game released by Mastertronic in 1986 for a variety of 8-bit home computers. A level editor is included which enables the player to design their own mazes.Molecule Man is trapped in a radioactive maze and must reach the escape teleport before the radiation kills him.Although Molecule Man looks at first glance like a simple isometric maze game, it is more sophisticated than 3D Monster Maze and more similar to Spectrum classics like Knightlore. The only way you can escape from the maze is by using the teleporter, but you can only use it only after you have collected all sixteen sections of the level's circuit board. To keep the radiation dose down, you also need to periodically take anti-rad pills. You start the game with twenty of these, but you will quickly use them up, and must search the maze for anti-radiation pill vending machines. But of course, these machines need money to dispense pills. So you must also collect coins that are scattered around the maze. Also around the maze are bombs which can be used to destroy sections of the maze walls, allowing you access to new sections. 2.- 15+ Latest HTML5 Templates for Web Design. HTML5 is one of the most popular and useful markup languages for the web design industry. It has introduced a lot of new features which made the development and designing process much easier for developers and designers. If you are in a search for a new html5 template for your website, then this post is for you. We have showcased fresh html5 website templates that you can use in your website to make it look more stunning. 3.- The History of HTML [Infographic]. 4.- KSEG is a free (GPL) interactive geometry software for exploring Euclidean geometry. KSEG is a Free (GPL) interactive geometry program for exploring Euclidean geometry. It runs on Unix-based platforms (according to users, it also compiles and runs on Mac OS X and should run on anything that Qt supports). You create a construction, such as a triangle with a circumcenter, and then, as you drag verteces of the triangle, you can see the circumcenter moving in real time. Of course, you can do a lot more than that--see the feature list below. 5.- JGraph is a freely available Java Graph Component for the visualization and layout of graphs. JGraph is a graph drawing open source software component written in the Java programming language; started by Gaudenz Alder as a University project in 2000 at ETH Zurich, Switzerland. The original design for JGraph was to make it an architectural extension of JTr. The initial public release of JGraph w as in May 2002. After the JGraph 5.x branch the project took the version numbering from mxGraph, since the two projects shared API by version. This branch, named JGraphX, started again from release 1.0. The summarized history of JGraphX since public release is available in the library change log. 6.- Just Another Gibbs Sampler (JAGS) is a program for analysis of Bayesian hierarchical models using Markov chain Monte Carlo (MCMC). Just Another Gibbs Sampler (JAGS) is a program for analysis of Bayesian hierarchical models using Markov chain Monte Carlo (MCMC) developed by Martyn Plummer. Its modeling abilities are similar to WinBUGS/OpenBUGS through the use of a dialect of the same modeling language (informally, BUGS), but it provides no GUI for model building and MCMC samples postprocessing, which must therefore be treated in a separate program (for example calling JAGS from R through a library such as rjags and post-processing MCMC output in R). Its main advantage in comparison to the members of the original BUGS family (WinBUGS and OpenBUGS) is its platform independence. It is written in C++, while the BUGS family is written in Component Pascal, which is only available for Windows. 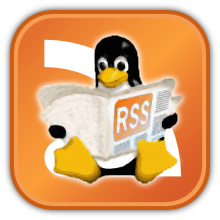 Therefore it is already part of many repositories of Linux distributions like Ubuntu. It can also be compiled as a 64-bit application on 64-bit platforms, thus making all the addressable space available to BUGS models. JAGS can be used via prompts and script files. This means that there is no need to redo the settings with every run and that the program can be called and controlled from within another program (e.g. R via rjags as outlined above). 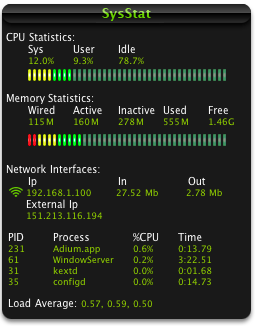 7.- 10 Useful Sar (Sysstat) Examples for UNIX / Linux Performance Monitoring. 9.- Iostat, Report Central Processing Unit (CPU) statistics and input/output statistics for devices, partitions and network filesystems (NFS). 10.- ZynAddSubFX is a very cool and amazingly powerful software synth.